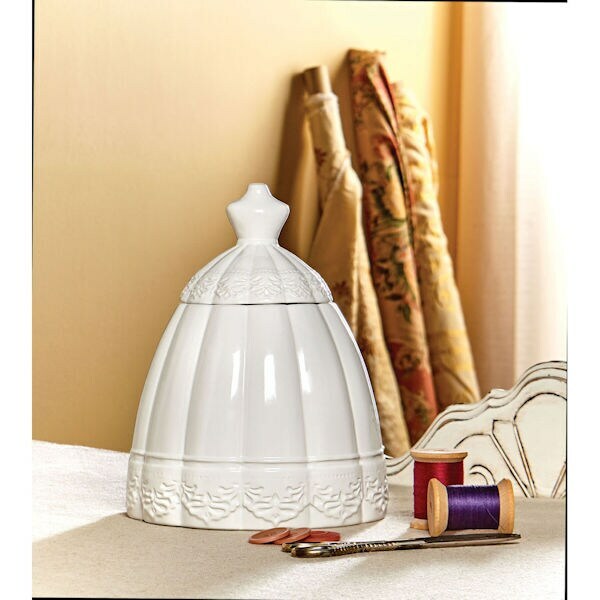 A fairy-tale hideaway for jewelry, trinkets, bobbins, or ribbons. For a young girl's bedroom or craft room, or anywhere you'd like a little magic. Sweetly detailed ceramic jar has a creamy white glaze. About 7" diameter, 9" high.